Lieutenant Julian Reynolds is on the scene to inform her of the murder of her former fiancée, Addison Lockwood. When the Lieutenant goes to the Masters’ home to question Sylvia he is blown away by her beauty. Her looks and strong personality inspire Lieutenant Reynolds to solve the case and pursue the woman of his dreams. Refusing the Lieutenant’s invitation, Sylvia is flattered that this much younger man who is also fine is obviously interested in her. The undeniable chemistry is hard to resist. What would her family say? Can Sylvia have a future with Julian? Sylvia Masters is a hot fifty-two year old widow and CEO of The Masters Investment Group. After her husband passed her focus turned to raising their three children making sure the company started by her late husband made to the Fortune 500. Lieutenant Julian Reynolds is on the scene to inform her that her former fiancee, Addison Lockwood has been murdered. When Lieutenant Reynolds goes to the Masters' home to question Sylvia he is blown away by her beauty. Sylvia's looks and strong personality inspire Lieutenant Reynolds to solve the case and pursue the woman of his dreams. When Sylvia offers the Lieutenant a cup of coffee their hands touch and their eyes lock. After a tulmutious beginning, he summons the courage to ask Sylvia to dinner. Problem: Julian is ten years younger and Sylvia isn't interested in being labeled a Cougar! Refusing the Lieutenants invitation, Sylvia is flattered that this much younger man finds her attractive. What would her family say? Can Sylvia have a future with Julian? So, you think that an older woman cannot keep the attention of a younger man. Think again. Just look at many of the older movie stars married to younger men and have kept them interested in more ways than one. Sylvia Masters is 52 years old and looks a whole lot younger. Vibrant, full of live and with a strong personality she runs her own Fortune 500 company and still managed to raise her three children. When her ex-fiancé Addison Lockwood is murdered she is devastated and wants answers. Lieutenant Julian Reynoldsis in charge of the investigation into Addison’s murder. It is his job to question everyone who knew him or had any dealings with Addison in the past. Sylvia was first on his list. But, when he meets her, there is an instant connection and you can feel the sparks ignite and the instant heat between them. He is hot and ten years younger than Sylvia. So, what!One look, one glance and you can tell it was all over for both of them. But, Sylvia is too smart and in control of herself and her feelings to allow this amazing man to Capture her Heart before she is ready. This is where the fun begins as I review this mystery love story Captured Hearts by author Sherlyn Powell. Julian is a wonderful man who is persistent and would not give up on Sylvia no matter what. Their back and forth bantering and bickering was refreshing and their love hate relationship is what kept the book moving and the reader’s interest. Her three children were clones of Sylvia and very protective of her in every way. Trying to distance herself from Julian did not stop him and no matter what happened. A murder investigation that was getting complicated as Julian questions each member of Sylvia’s family causing her to become more irritated and angry by the minute. The physical attraction set aside, she did not and would not allow anyone to badger or interrogate her two daughters Lacy and Alexis nor her son Danny. Added to the mix is her attorney Marcus who has strong feelings for Sylvia and her friend Gwendolyn who meddles into her life, expresses her feelings about everything Sylvia is up to and wants to really be her. Throughout the novel we get know each character. Lacy more like her mother than Alexis. Alexis would attack and Lacy would protect as the author so aptly states. Both Alexis and Lacy are work driven, highly educated and yet since the death of their father did not allow themselves to create their own separate lives away from their mother. No matter how she encourages them to forge ahead on their own they felt the need to hover and protect her as if she was too fragile to deal with things on her own. Not Sylvia. Definitely not a porcelain dish or a fragile piece of glass, but things were about to change and Sylvia’s life is about to turn in an entirely different direction. Sylvia Masters is the CEO of Masters Investment Company and a definite force to be reckoned with. She might be 52 but she is smart, sassy, and definitely hot and would never allow any man to control her. As Julian would learn dealing with her meant doing it basically on her terms. But, as much as she tried to shove him away and tell him their relationship was over, she knew in heart that she would be lying to herself if she did not admit her true feelings. But, just when you think things are about to take a positive turn, something happens and the entire situation blows up and changes and their relationship falls apart. Why? You will have to learn for yourself. Who created the rift between Julian and Sylvia you will not believe? Why do her children feel he is too young for her and she needs to look elsewhere? Only the author and this reviewer can answer that question and when it comes to the matter of the hearts of the two main characters in this book, we are sworn to secrecy. Gwendolyn Fields was supposed to be Sylvia’s best friend. Coming into her home unannounced, curious about her relationships with men and asking questions about Addison her trying to get her to admit her feelings, you begin to wonder just how a good a friend she really is to Sylvia. Just a tad too nosy, too over bearing and definitely trying to emulate her friend, Gwendolyn tries too hard when it comes to men and falters most of the time. But, let’s not forget Marcus her attorney who has harbored feelings for Sylvia too. But, she never seems to waver in her thinking, she holds her own and conducts herself as a totally in control woman in every situation except one. As she adjusts to what she thinks is a failed relationship with Julian, refuses his calls at work and at home, she comes face to face with the reality of the situation and falls apart. Julian is persistent and what happens will definitely surprise the reader as the lies and deceptions are revealed, those involved blamed and one closely-knit family becomes unglued. But, there is much more that you will learn about Sylvia and Julian before the close of the novel. As you meet Julian’s children along with Sylvia the respect you had for her before will double as she opens her heart and home to not only him but his family too. The suspense continues as Julian and Detective Peterson study the clues, go over every detail, revisit many of the suspects and finally find one commonality that will get catch the killer of not only Addison but his fiancé as well. What does happen next will surprise and astound the reader. This riveting, fast paced and outstanding romance/ mystery keeps the reader’s interest from page one until you read the last page and hope that she will bring Julian and the rest of the characters back for a sequel. Who is the killer and how is this person caught? Will they wind up together or will they realize that age makes a difference in a relationship? Why should Julian being ten years younger make a difference if he is the right man for this remarkable woman? Only Julian and Sylvia can answer whether that will stop them? Love at first sight. Instant attraction and great chemistry can often be the start of a great relationship or just a physical one. One family, three children one man who only wants to make one woman happy. 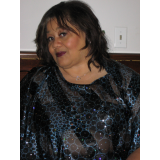 Author Sherlyn Powell brings to light the issues of family loyalty, understanding, caring, friendship and the meaning of love at any age. Romance novels are often just that and many have no substance. This novel is far superior to any that I have reviewed in the past as the author creates a relationship between two people that is beautifully crafted, tastefully written and provides the perfect balance between mystery and romance. This is definitely an author that I will continue to read and review and whose novel will be added to my list of my final 25 pics for 2010 . I'm not big on reading romance novels, I like murder mysteries. I started reading this book because it had a murder and I wanted to find out who the killer was. As I was reading my heart was captured and I was swept into the romance. It was hard for me to put this book down because I wanted to know if the romance worked and who the killer was. I'm not big on romance novels, but I'll read everything Sherlyn Powell writes. I'm one of her new fans! Can a person find true love twice in one lifetime? On the day Sylvia Masters finds out her ex-man, Addison Lockwood, was murdered, see meets Lieutenant Julian Reynolds who is immediately smitten. Something about the sophisticated, mature woman had his mind going in circles. During the process of trying to figure out who killed Addison, Julian feels his heart being tugged in the direction of Sylvia. 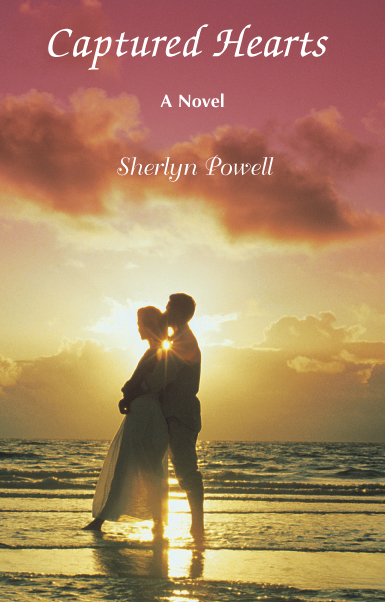 Will the younger man be able to prove he knows how to love a strong, older woman in Captured Hearts by Sherlyn Powell? The death of someone special is not new to Sylvia. She is the widow of an extremely smart and powerful businessman. After his demise, she took the reigns of the company keeping it a float. Sylvia is known for making sensible decisions and choices. As much as Julian tries, Sylvia always finds a reason as to why their relationship will never be able to work. Determined to prove himself, Julian keeps inviting her out, hoping to one day break down her hard exterior. Will he be able to finally make her see eye-to-eye with him? I really liked the no-holds bar type of attitude that Sylvia had. The development of the romance between Julian and Sylvia was believable. I could see a woman of power in her later years being careful not to draw too much attention to her personal life, especially if she chose to be with a younger man. Captured Hearts fall into the romantic suspense genre. However, the suspense aspect was almost forgotten. There was more focus on the romance. I believe if both parts of the storyline were better balanced the story would have moved along a little faster. I recommend Captured Hearts to readers of romance. They will not be disappointed. The author provided a copy of the book for review purposes.